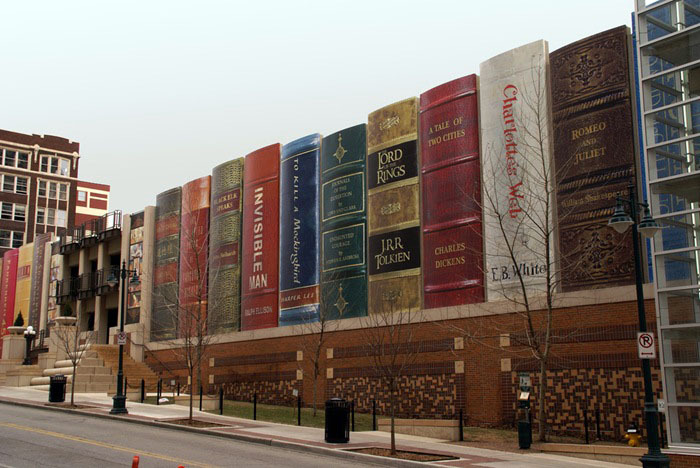 Though the Kansas City Library Parking Garage in Kansas City, Missouri was completed in 2004, I had never seen it before. Designed by cdfm2 architects (now apparently 360 Architects), the book spines measure approximately 9 meters by 3 meters and are made of signboard mylar. 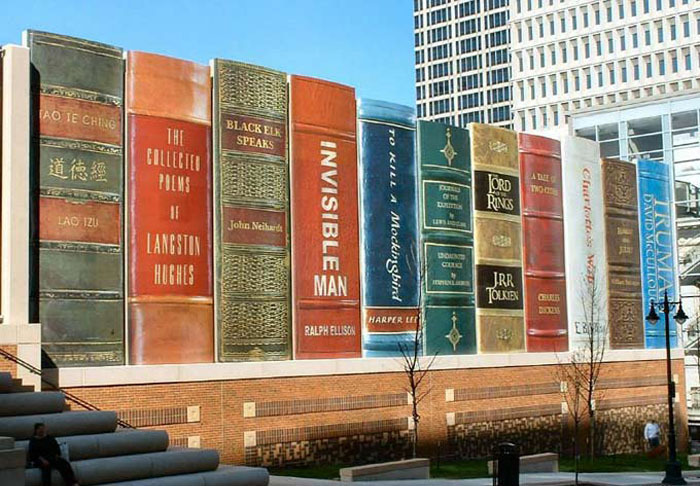 The shelf showcases 22 titles reflecting a wide variety of reading interests suggested by Kansas City readers and then selected by The Kansas City Public Library Board of Trustees. Clever. Photos: Jonathan Moreau, Hanneorla, Worldslargestthings, and Jonathan Kemper. This entry was posted in Architecture, Fun. Bookmark the permalink. Amazingly breath taking ! I love the feel and the smell of books.My friends have kindles that is awesome ,but books ah! !